When you are first starting a blog, website or online store, you can easily spend hundreds of hours doing research on hosting, themes, domain names, plugins, etc. I know I did. There is so much information and so many resources out there, and just trying to figure out where to begin can be enough to put you in information overload paralysis. To help prevent that, I have put together a list of the blogging tools and services I use and highly recommend. Etsy is great and I think it’s a really good idea for anyone in the handmade or craft supply business to have a presence there. However, I think it is important to also have a separate store where you are in charge and can control everything. For my fine art photography store, I use Shopify, and have nothing but praise for them. It is super easy to set up a great looking, fully functional store, and their customer support is phenomenal. And they have buyable pins – all you need to do is install and activate a Pinterest app in your store, and people can then buy your items right on Pinterest. 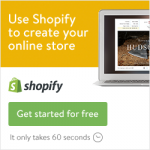 Click here to get a free 2-week Shopify trial. Shopify Customization. The Shopify themes are great looking and easy to work with, but for those times when you feel your store needs a little bit of extra tweaking, whether it’s a function or aesthetic changes, and you don’t know how to do it yourself, I highly recommend TaskHusky. They have helped me several times with my store, and they are really affordable, quick to respond, super nice, and got my store looking the way I wanted it in no time. First, let me say this: if you set up your store on Shopify, it will come with a blog function, which is great. However, if you decide to move your store to a different platform, you’ll leave your blog behind as well. Sure, you can copy and paste all the posts and everything into the blog on the new platform, but that is a HUGE pain. I prefer to have my blog separate and self-hosted, so that no matter what I do with my store in the future, I still have full control over my blog and it won’t be affected by any other changes (not that I intend to leave Shopify anytime soon, but you never know what the future holds….). WordPress. The #1 Blog Publishing Platform. Free, powerful and easily customizable, and what I use for this (and other) blogs. There is WordPress.com and WordPress.org, and the main difference between the two when it comes to setup is that with .org you own your own domain name and host the site yourself. There are many benefits to using .org vs. .com, and I highly recommend the .org version. You can either buy your domain name separately through services like GoDaddy, or buy it together with your web hosting, directly from the host. Some even include a free domain name with certain hosting plans (see below). I am using BigScoots and I love them! They are super nice, their support is fantastic and very quick, and they are really affordable – their plans start at $3.55/month. Another very popular option is Bluehost. Their setup is super easy, their support is there 24/7, and you can get a free domain name when you sign up. Bluehost plans start at $3.95/month. I use MailChimp for my newsletters and they are great. They have lots of templates that are easy to customize, great subscriber management, and it’s really easy to set everything up and design a newsletter that looks good and professional. The basic plan is free, and comes with lots of great features like free welcome email series, etc. There are SO many blog themes out there, and choosing one can be totally overwhelming. First you have to decide on the features you want, then find a theme, then make sure it comes from a trustworthy source that offers support, consistent updates, etc. Sure, you can always change the theme later, but that sounds easier than it is, trust me. I’ve done it and it is a HUGE hassle with lots of downtime every time. I personally use StudioPress and love them. They have something called the Genesis Framework, that makes working with WordPress a lot easier, and they have lots of great looking themes to choose from as well. All their themes are SEO optimized, responsive (meaning your site automatically looks good on all mobile devices) and come with a bunch of different layout options. And if you get stuck trying to set up your site, their support and forum is great. Or if you prefer to have someone else set things up, they have a list of designers who are all experts on customizing these themes. Another great resource for themes (and lots of other things) is Creative Market. It’s an online marketplace where designers sell their products directly to the customers. I’ve bought a lot of stuff there, including the theme for this blog. You can find everything from beautifully designed fonts to newsletter templates, logos, social media templates, etc. at very affordable prices. Most items are set up for “the average user” who doesn’t have Photoshop or previous design training. Free plugin that after you activate it creates a new menu item on your dashboard called Contact, where you can configure the signup form as you want. Free plugin that creates a widget that adds a mailing list signup. It’s really easy to set up and integrates with the most common email marketing services (including MailChimp). Another free plugin (comes in a paid version with more features as well) that helps with security, load times and displaying related content. 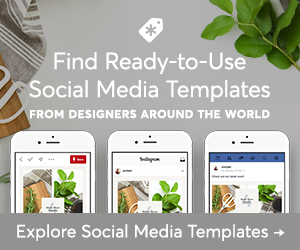 Free plugin that lets you customize the social icons on your site. You can choose which profiles to link to, customize the color and size of the icons, as well as align them to the left, center, or right. 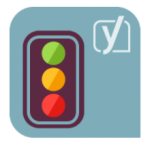 Images can really slow down your site, especially large ones. ShortPixel is a great plugin that compresses your images (and pdfs) while keeping the original image quality. You honestly can’t tell the difference. It helps your pages load faster, which in turn can help with ranking. The free version lets you compress 100 images / month, and there is a variety of paid plans to choose from as well. And you can pay a one-time fee if you are compressing a large library and know you’re not going to need more than 100 / month after that. Highly recommended. and lots more. It comes in both free and paid versions and I highly recommend it! I love this plugin and consider it a must on any blog. It automatically generates META tags, optimizes your titles, helps you register your site with different search engine webmasters, and tweaks a lot of other stuff “behind the scenes” which helps the search engines find your blog. And my favorite feature is that you get little status buttons in each post that shows you how that post is doing, both SEO and readability-wise, and a “checklist” of what you’re doing right and what you can do to improve it. Super easy and very helpful! Also comes in free and paid versions.